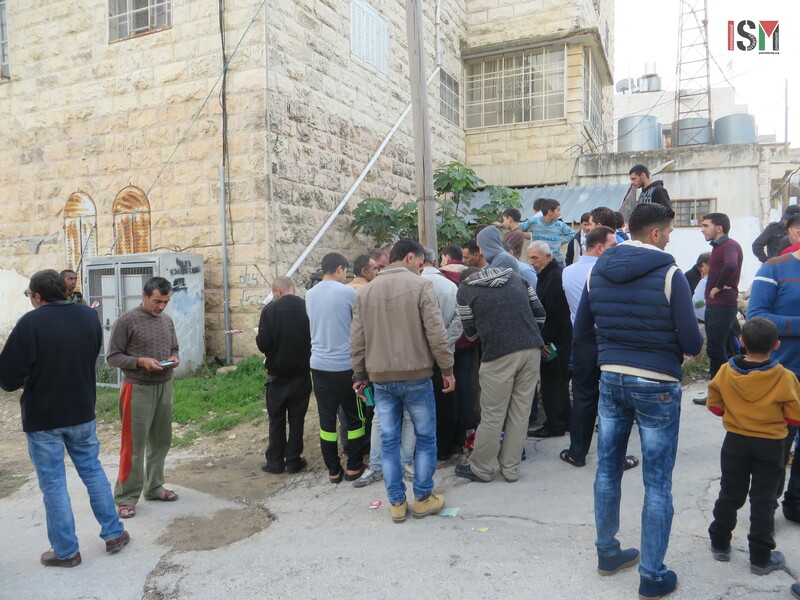 Palestinians gather in the street to be registered in the Tel Rumeida neighbourhood in occupied Hebron. It is being reported that the area will be closed off completely for people who are not residents of the area and who are not registered within the next few days. “For the people living in the area, it will become like a prison. 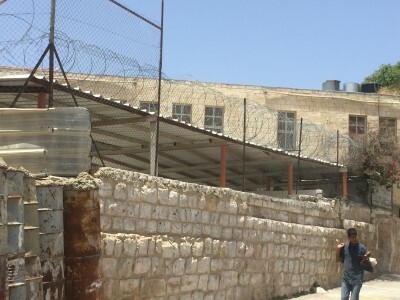 For people living in Hebron, the closure of Tel Rumeida will mean that the city will be split in two”, says local resident to international activists. 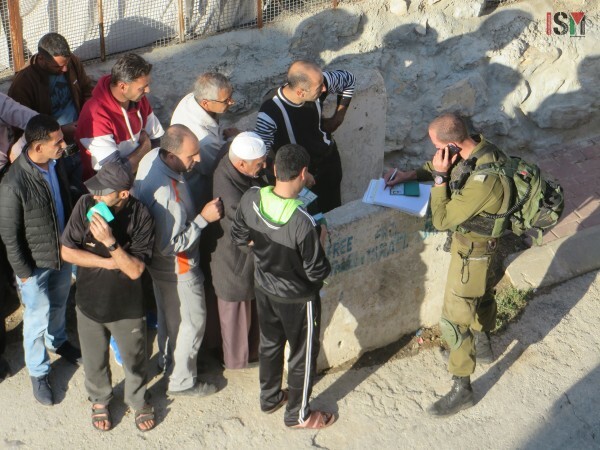 The names and ID-numbers of the people living in the area are being written down by soldiers on long lists, and there are dozens of Palestinians standing around Gilbert checkpoint waiting to hand over their information or be forced out. Even for the residents who will be allowed in the area, this will mean severe restriction of their movement. Every time Palestinian residents of Tel Rumeida & the area around Ibrahimi mosque (between checkpoints 209 and 29) cross a check point to get to their home, the soldiers will have to search the long list for the name. 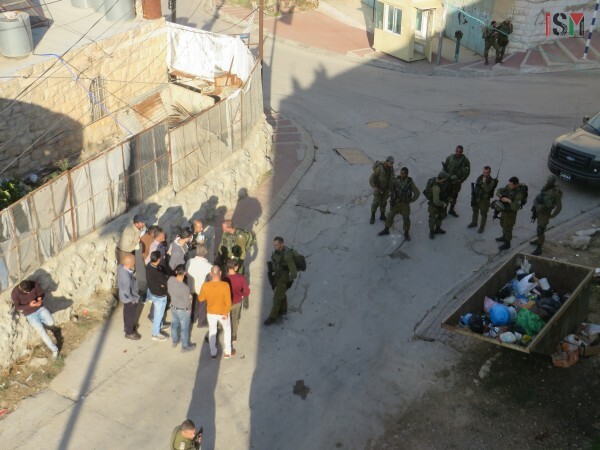 It is not the first time the Israel has imposed such restrictions on the residents of the area. In 1994 after the Illegal settler extremist Baruch Goldstein committed a massacre in the Ibrahimi Mosque, similar measures were taken. 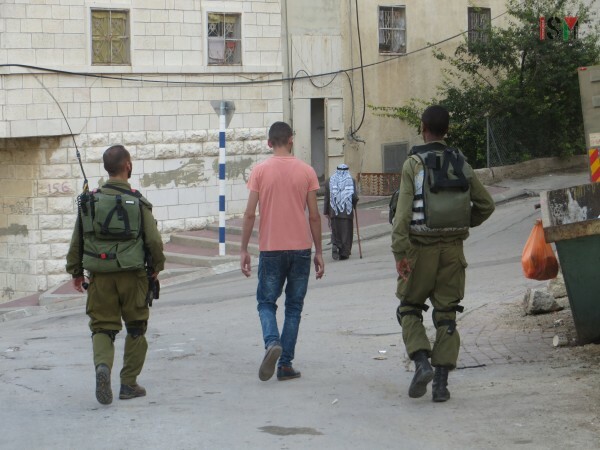 At that time, Palestinian residents refused registration and were punished with a six month 24-hour-curfew and only allowed a few hours a week during which the residents could buy food. Due to the increase in violence by army and settlers against Palestinians they do not dare to refuse registration this time.